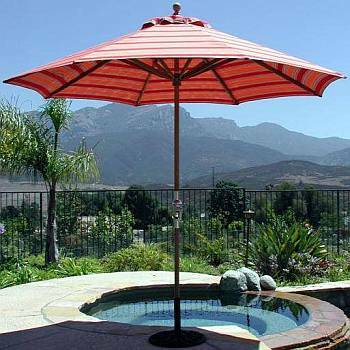 Outdoor Wooden Market Umbrellas are a great way to enhance your patio, deck, pool area or lawn/garden. 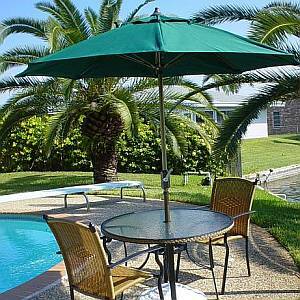 They are aesthetically pleasing and fulfill a perhaps more important function. 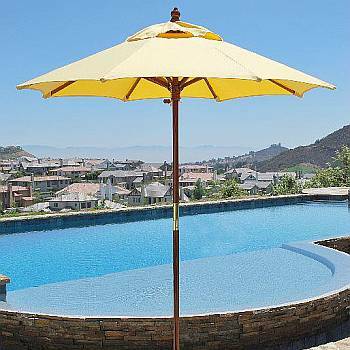 Today the sun is stronger and more harmful than ever and patio umbrellas are more and more in need. 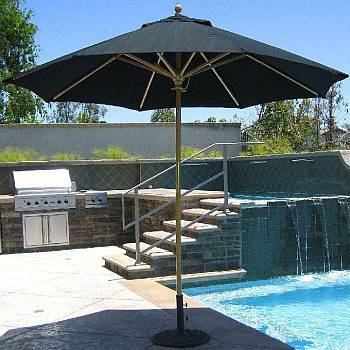 Indeed patio umbrellas are probably the best way to remain outside without absorbing the harmful UV rays of the sun, which cause skin cancers and sunburns. 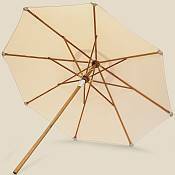 We have only the best, time-proven Wooden Market Umbrellas to offer at discounted prices for savvy Internet buyers. 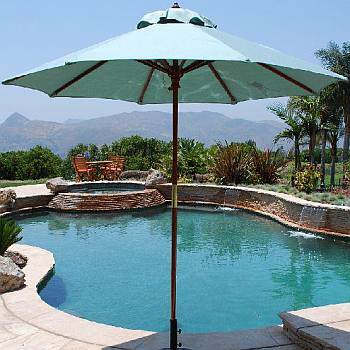 The criteria we used was quality, design, reliability, warranty, value and lastly our best discounted price. 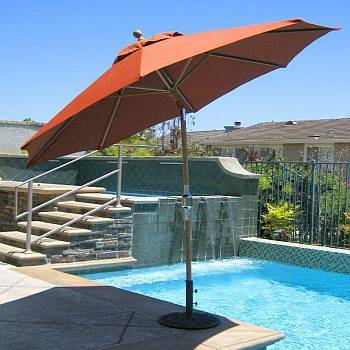 Whether you need a solid wood pole umbrella with a marine grade Sunbrella canopy, or a wood umbrella with specialty tilt feature, crank, pull rope, pulley and pin, we've got you covered. 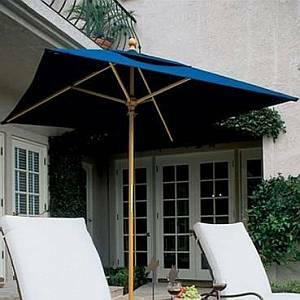 If you're looking for an wood umbrella accessories like a base or a mosquito net enclosure, we have those items as well. 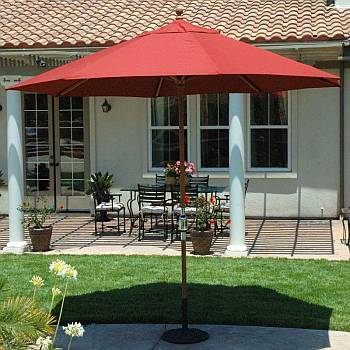 Any umbrella that you use on a patio or deck can be considered a patio umbrella. 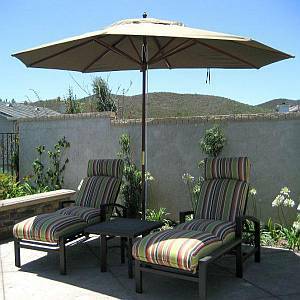 They are typically made for any outdoor leisure use. 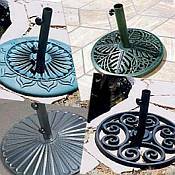 They are often used at home in the backyard or "Patio" and thus this name stuck. 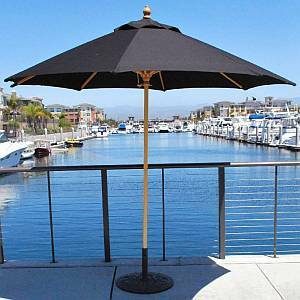 A Market Style Umbrella is usually a heavier duty, higher quality umbrella, originally with a center wooden pole. 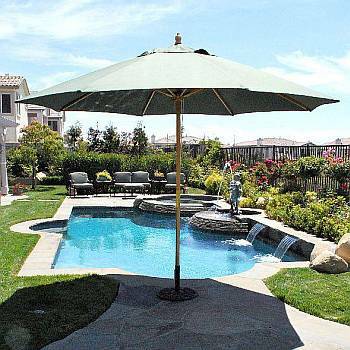 It used to come without a valance but that distinction has been blurred over the years. 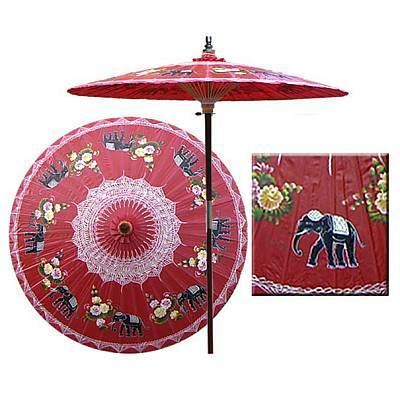 The market umbrella was widely used in open air markets in Europe and the valance would just get in the way hanging down around the canopy perimeter. 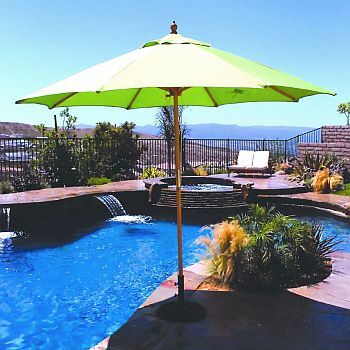 Wood outdoor umbrellas can widely range in price, from as inexpensive of about $100 dollars to a few thousand, depending on the quality of the wood and features included, such as canopy fabrics, cranks, pulleys, tilts mechanisms, metal or brass fittings or thick solid wood poles and built in lighting. 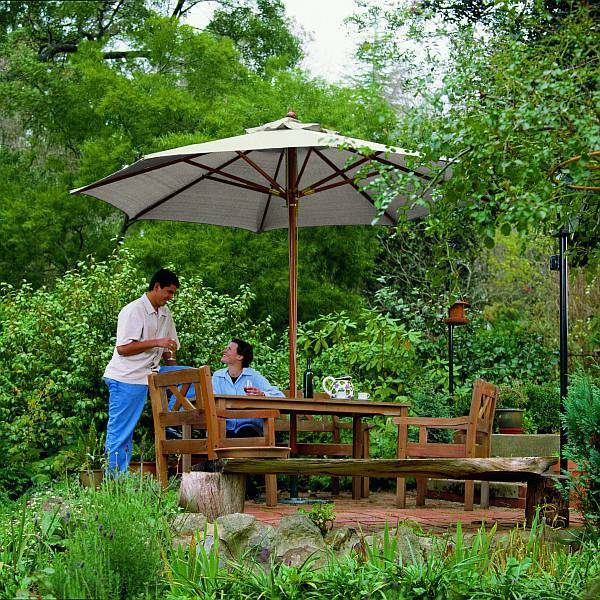 The choices you make when deciding on a your wood market umbrella depends on your own needs and goals..